Waka Flocka Flame‘s wife Tammy Rivera has reacted to Young Thug‘s plea for help in getting back his fiance Jerrika Karlae. Thugger posted a video on the Gram last night begging Karlae to give him another chance after she dumped him for cheating. 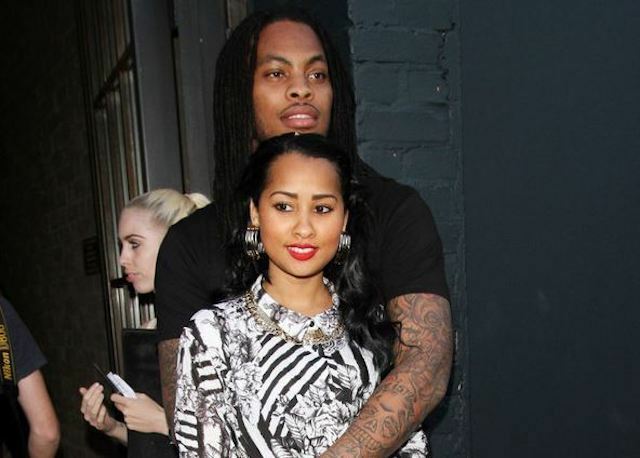 Tammy Rivera left a comment on the video saying it brings back memories of when Waka Flocka cheated on her and she was very clear about wanting him to leave her alone. Seems Young Thug is causing a lot of problems for his fellow Atlanta rapper. “I Think every woman in the world done heard that line before [Waka Flocka] I’m having flash backs don’t talk to me for about 20 minutes when I get in the house,” she wrote. 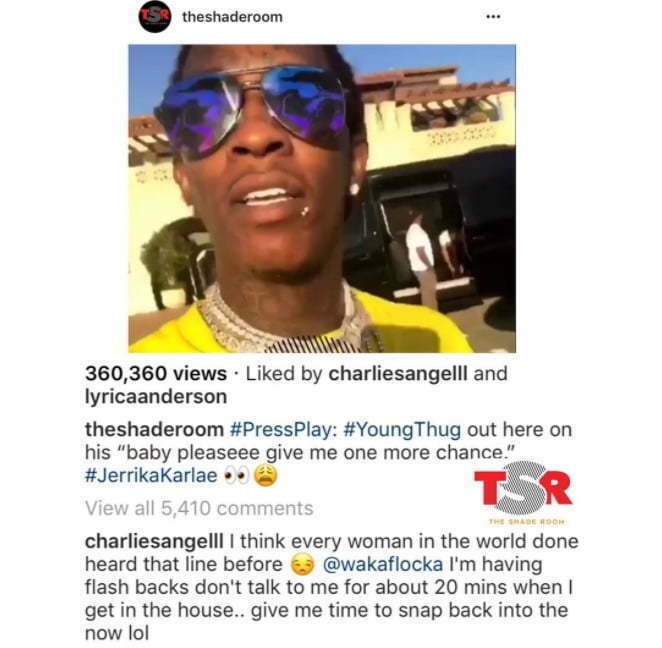 “Give me time to snap back into the now lol.” Doesn’t seems like Young Thug plea is working so far since his ex-fiance revealed that she is single and she is furious with both him and the females he had affairs with. Back in 2013, Young Thug dissed Waka on Instagram when he tweeted “Waka Flocka Farrakhan need to chill.” It’s still not clear what caused their beef but they never made peace and with this happening it’s unlikely that will happen anytime soon.